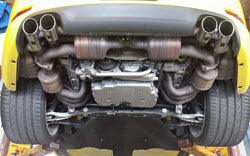 Exhaust | German Sport, Inc.
How is the exhaust running on your Walnut Creek vehicle? If your European vehicle requires exhaust repair or auto repair, we will be happy to provide thorough exhaust repair at our Walnut Creek auto repair facility. Family owned and operated, we take pride in our exhaust repair workmanship. Our team has received top honors for customer satisfaction; your car gets treated just as well, with the best exhaust repair, auto repair, and replacement parts available. 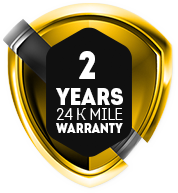 Plus, we guarantee our work, parts and labor for 12 months or 12,000 miles. “First and foremost, this is a family owned small business. We have taken our vehicles to various shops and we always return to Lerry and/or Carlos who take care of whatever we need. They are honest and upfront. At times they have given advice and they didn’t make a dime. We have recommended this shop to family and friends and will continue to do so. Today we stopped in for oil and we were in and out and it was all good.” — Rose H.
When your European automobile is ready for exhaust repair or auto repair in Walnut Creek, we invite you to try German Sport Parts & Service, Inc. Ask about our 10% off Internet Special when you contact us for an exhaust repair appointment at our Walnut Creek facility. We are conveniently located at 1400 Autocenter Drive, Walnut Creek, CA 94597 (Off North Main – Behind Midas Muffler). Call us at 925-934-6665 during business hours, Monday through Friday, 8 AM to 5 PM. 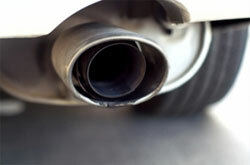 We look forward to serving you with quality exhaust and auto repair you can count on!